I have been looking for a caftan dress for awhile and found one at Urban Outfitters but decided not to get it due the print. 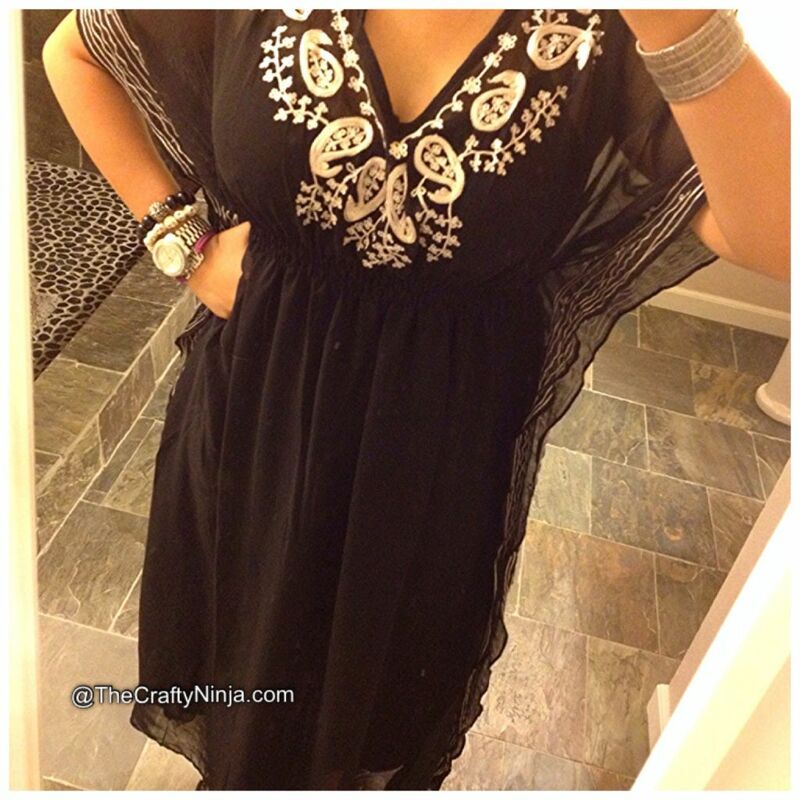 The other day I found this black caftan dress at Ross for only $15 (similar one here). When I wore it to work and I got so many compliments from co-workers and students, which made me think to myself that I should wear dresses more often. My arm swag is a Juicy Couture Watch (I like this one here). I purchased my skull stretch bracelet from Claire’s (similar one here). Love stretch bracelet (similar one here). Black stretch bracelet (I like this one here). 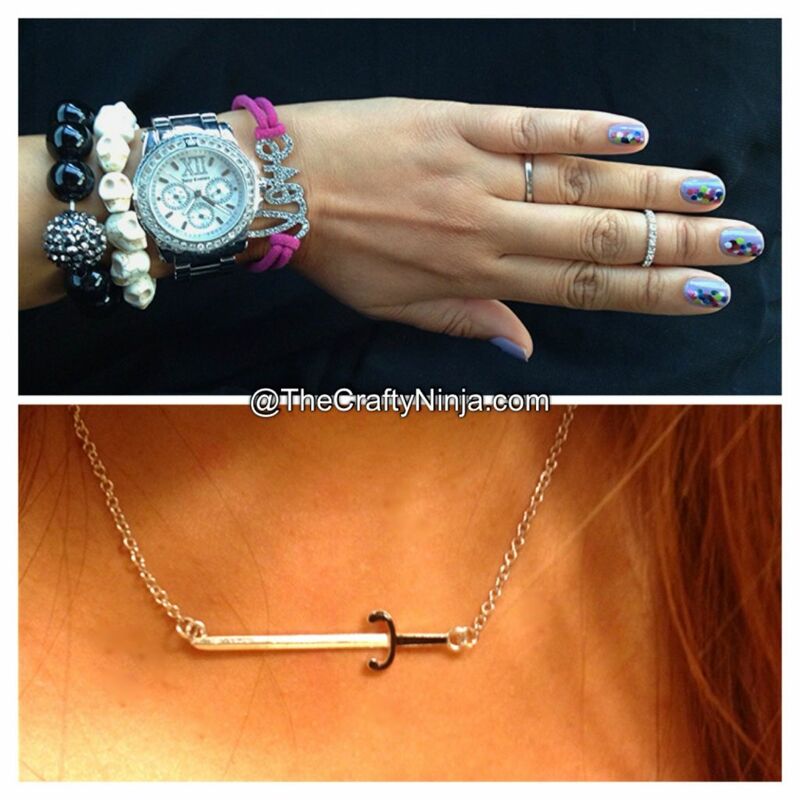 Sideways sword necklace (similar one here or here). Check out my Rainbow Confetti Nail tutorial.